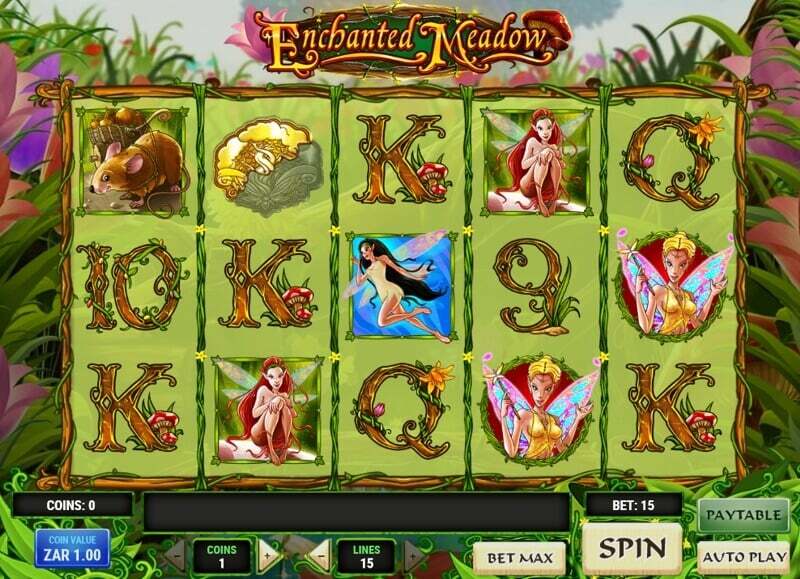 Nestled within the tall, brimming grass comes Enchanted Meadow from Play’n Go featuring re-spins and free spins while offering the chance of up to 2,500 coins per payline. Set in a tranquil environment the slot is home to more than just magical ferries. That is because in the middle of all of this is five reels containing up to 15 paylines. Reinforcing the enchanting theme are the red-haired fairy, black-haired fairy and field mouse as the upper-value symbols. The lower-value end is made up of six poker symbols. The soft audio effects include instrumental music and nature sounds which accommodates a few relaxing rounds of play. The tree wild is a symbol that can grow out of any reel and substitute for any other symbol except for the bonus and scatter. A tree wild on the third reel expands to cover it entirely. The wild symbol also awards coin prizes equivalent to 10, 100, 500 or 2,500 with 2, 3, 4 or 5 exclusive symbols on a payline. The re-spins feature is unlocked with an expanded tree wild on the 3rd reel and medallions on the 2nd and 4th reels. Here the expanded wild is sticky for the duration of the free spins, and it is possible to trigger further re-spins in the same manner. The Queen fairy scatter symbol will award x2, x3, x20 or x50 total bet when discovered in sets of 2, 3, 4 or 5 respectively. A purple flower represents the bonus symbol that can appear on the 1st, 3rd and 5th reels. 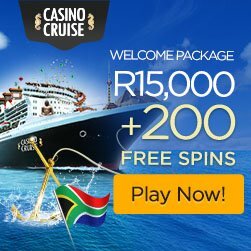 Sets of 3 will unlock the Hide and Seek Bonus Feature where you are invited to select from amongst hiding spots to locate hidden ferries that can award you with free spins or coin wins. Avoid the wasp, or the feature prematurely ends. The free spins are then triggered where a x2 multiplier is applied to any wins. The multiplier can increase up to a maximum of x5, each time a set of two fairies appear. The bonus game can be re-triggered while in free spins mode, and it is possible to collect additional free spins that do not exceed 50 in total. The gamble feature is triggered after a winning round and gives you the chance to play either the red/black for a 50-50 chance. You can also play the poker suit for a one in four chance to double or quadruple your winnings respectively. You can continue to play for a maximum of five successive rounds or until you have reached the maximum of 2500 coins. Enchanted Medal slot has an RTP of 96.18% and can be played with a range of wagers beginning at 0.01 and ending at 18.75. Enchanted Meadow is a high volatility game, designed in HTML5 for use on mobile, tablet and desktop. Catch a fairy on the go using an Android or iOS device!